Plextor has released details of the forthcoming M5 Pro Series, a new performance line of SSDs aimed at businesses and due to launch this September across UK and Europe. The M5 Pro is an extension of the recently announced M5 Series range and is the first Plextor SSD to incorporate the latest 3rd generation multi-core Marvell 88SS9187 controller, it will handle extremely high loads making it suitable for use in a heavy workstation, server role, or Raid 0 configuration environment. 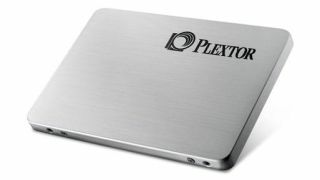 Plextor have further enhanced the drive with its own unique data protection technology built into the drives firmware, and has added True Speed Technology to prevent the drastic performance drop seen in some SSDs after intense or long-term usage and to increase storage performance levels. Plextor state the new drive will be able to sustain random read / write speed up to 94,000 / 86,000 IOPS as well as continuous read/write speeds up to 540/450 MB/s. When the device launched it's expected to appear with capacities of 128GB, 256GB, and 512GB, and will also feature two enhanced data protection technologies, True Protect (for accuracy) and AES Data Encryption (for maximum security). The M5 Pro SSD will be backed by a five-year warranty and will be available from the end of September (RRP from £129.99).